Wolfspeed, A Cree Company and a leading global supplier of GaN-on-SiC high electron mobility transistors (HEMTs) and monolithic microwave integrated circuits (MMICs) with best-in-class reliability, announces their complete lineup of high efficiency, high gain, and wide bandwidth C-Band radar parts with the market introduction of the new CGHV59070 GaN HEMT for C-Band radar systems. Wolfspeed, A Cree Company and a leading global supplier of GaN-on-SiC high electron mobility transistors (HEMTs) and monolithic microwave integrated circuits (MMICs) with best-in-class reliability, will highlight its latest industry-leading RF and microwave devices and foundry services at this year’s IEEE International Microwave Symposium (IMS2016), scheduled for May 22–27, 2016 in San Francisco, Calif.. The company is also supporting the IMS 2016 STEM program, and several onsite student design competitions. Wolfspeed, A Cree Company and a leading global supplier of GaN-on-SiC high electron mobility transistors (HEMTs) and monolithic microwave integrated circuits (MMICs) with best-in-class reliability, released a new 28V, 30W GaN HEMT bare die at this year’s IEEE Wireless and Microwave Technology Conference (WAMICON), which took place April 11–13, 2016 in Clearwater Beach, Fla.
Wolfspeed, a Cree Company and a leading global supplier of GaN-on-SiC high electron mobility transistors (HEMT) and monolithic microwave integrated circuits (MMIC) with best-in-class reliability, is exhibiting and presenting at the 2016 Government Microcircuit Applications and Critical Technology Conference (GOMACTech), the premier annual event dedicated to government-funded micro- and nano-electronic research. 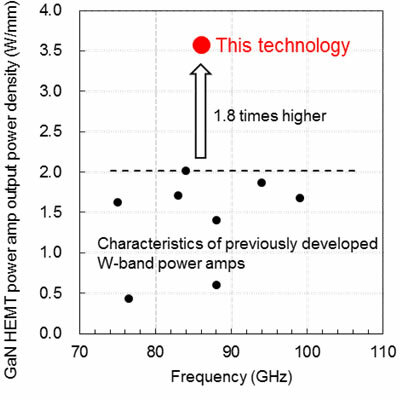 Fujitsu Ltd. and Fujitsu Laboratories Ltd. announced the development of a gallium-nitride (GaN) high-electron mobility transistor (HEMT) power amplifier for use in W-band (75 to 110 GHz) transmissions. This can be used in a high-capacity wireless network with coverage over a radius of several kilometers. Cree Inc., a leading global supplier of GaN-on-SiC high electron mobility transistors (HEMTs) and monolithic microwave integrated circuits (MMICs), is introducing two industry-leading new products and contributing to a series of workshop presentations about current trends in GaN packaging at the 2015 International Microwave Symposium (IMS). Cree, Inc., a leading global supplier of silicon carbide (SiC) and gallium nitride (GaN) wafers and devices, has extended its family of 50 V discrete GaN high electron mobility transistor (HEMT) die with the release of three new components. Cree, Inc. has made seven new GaN HEMT die available through distribution via Mouser. Manufactured on silicon carbide (SiC) substrates using a either 0.4 or 0.25 μm gate length fabrication process, the gallium nitride (GaN) high electron mobility transistor (HEMT) die exhibit superior performance properties compared to silicon (Si) or gallium arsenide (GaAs) die, including: higher breakdown voltage, higher saturated electron drift velocity, higher thermal conductivity, and higher efficiency.